Solo 3 person team Starts at 7.30am 1 lap of the course the time of the last person finishing in your team will be your official team time. Solo 2 laps Starts at 2.00am. We will provide a tail end Charlie, however you need to be self supporting for the first lap. 4 Mechanics & St John's on course, water, electrolyte, toilets at all relay changes on 2nd lap. Check in at start of 2nd lap corner Rogan and Gover Street. 3-6 person Business House Challenge. All team members must work for the business, are family members or clients of the business team entered. 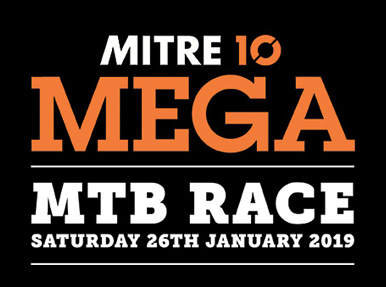 Mitre10 Mega MTB Mountain bike race. This is a challenging race with a long and mid course. Not for the faint hearted. This requires a good level of skill and fitness on a mountain bike. There is an Industry Expo on Friday at the TSB stadium. Registration packs must be collected from the TSB Stadium in Mason Drive between 3.00pm and 10.00pm on Friday night 25th January 2019, or on Saturday 26th between 6.00am and 7.00am. The TSB Stadium is situated on Mason Drive beside the New Plymouth racecourse. 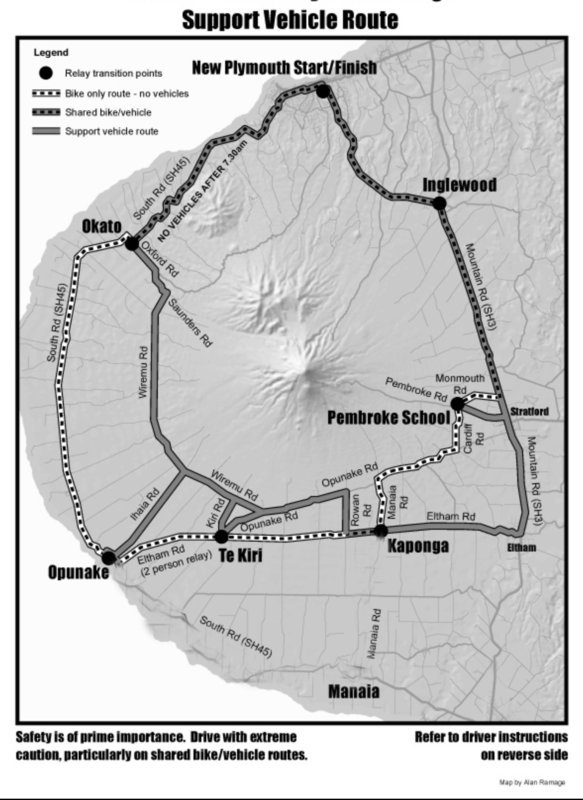 The Taranaki Challenge starts from the TSB Stadium in Mason Drive New Plymouth on Saturday 26th January 2019. Assemble from 6.30am onwards. Tandems and Solos start at 7.30am. Relay teams will start approximately 5 minutes after solo riders have left and are not to assemble with the solo riders. This will be monitored. 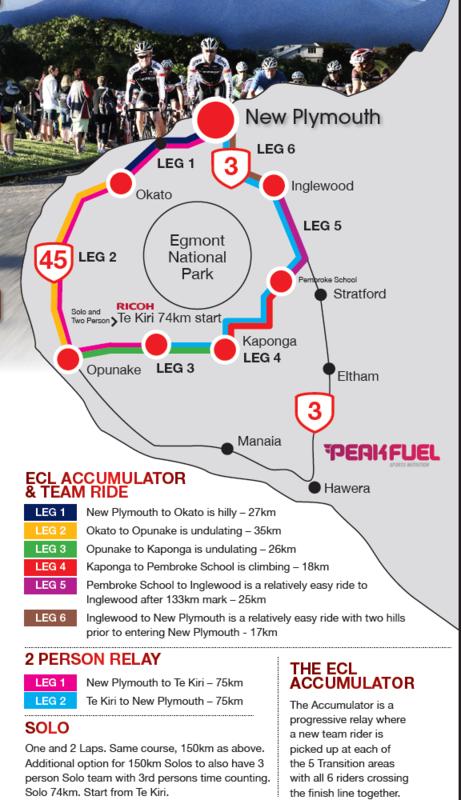 74km Solo and 74km Solo Ebike rides start from Te Kiri 11.00am with an option of getting yourself to the start or catching a bus with your bike, extra cost $30.00. All results will be based on wave start time.